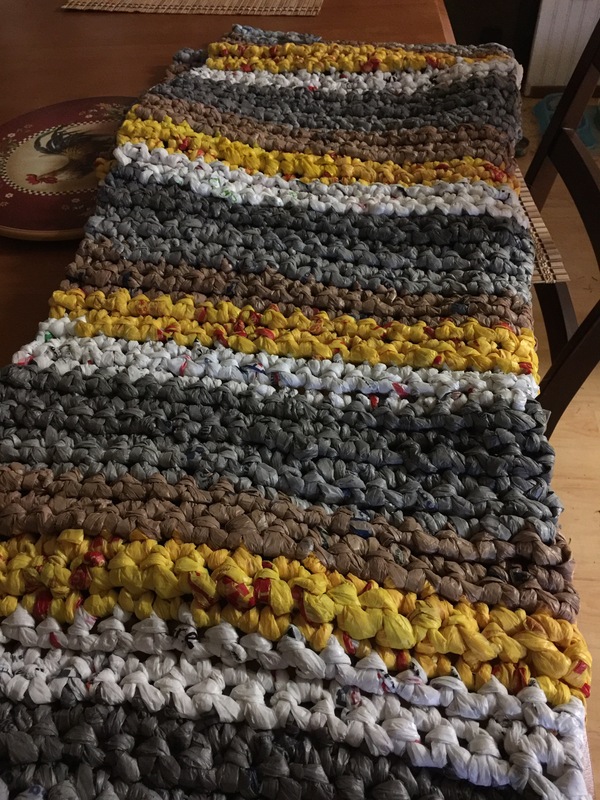 This mat is made entirely of plastic grocery bags that she crocheted. It is water resistant, soft, insect-proof, and light weight. The bags are entirely donated. She is making them for homeless people to use as sleeping mats. They can be layered, provide insulation from the cold ground, and can be hosed off if dirty. To me this is an ingenious upcycle, and I am super proud of her for doing this. She got the idea from “a gal in Texas” and says there’s a YouTube video that gives instructions. What an easy way for a bored crafter to make a difference. Share with all your crafty friends.